Please note: East 96th Street Playground is closed for construction. Learn more about the project. 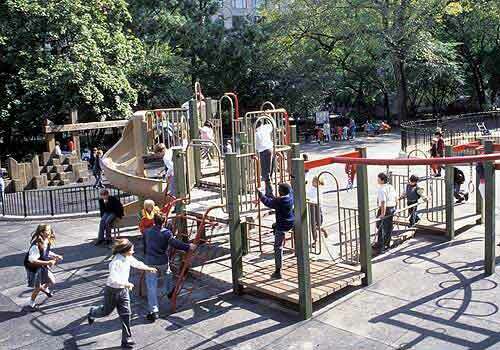 One of Central Park's largest playgrounds, the East 96th Street Playground features a great variety of play equipment and ample open space for running and playing games. The playground includes two play structures, slides and climbing poles, wooden climbers, a tree house, tire and bucket swings, a sandbox and picnic tables.